 ​​The Cross-Washington Mountain Bike Route is a public route that can be ridden at any time from spring to late fall. However, for those looking to ride with others, there will be an annual grand depart from First Beach in La Push, WA on the second Sunday in May. While the grand depart is a group start, it is not a group ride. Every rider is responsible for their own route finding, safety and schedule. There is absolutely, positively, no support provided. Self-supported bikepacking is a serious endeavor not to be taken lightly. It is a true adventure which means it can be dangerous, hard, exhausting, confusing, scary, fun, miserable, painful, rewarding and basically a complete sufferfest. Please know your abilities, strengths and weakness and prepare yourself, bike and kit accordingly. ​This route may vary from the official route depending on weather, trail closures and the whim of organizers. The route will be announced In April/May. Please refer to the official Cross-Washington Mountain Bike Route until then. ​Below is a live view of the XWA start line in La Push.